Cozy Up This Weekend with Pork: It’s Forkin’ Delicious! Be thinner than your dinner. Eat pork. A perfect fall/winter meal, and one we’ve made a few times because it’s quick, easy and mighty tasty! 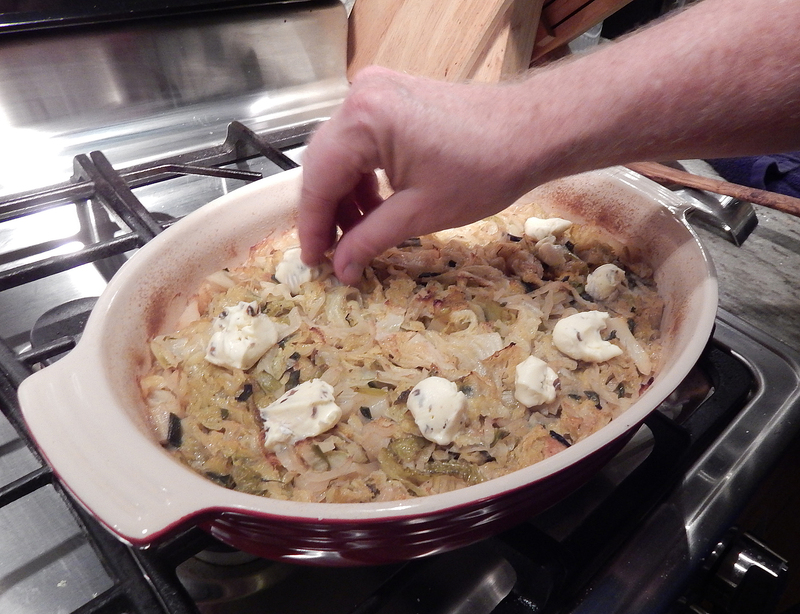 But if you decide to cook the braised cabbage gratin with it, plan on about 90 minutes from start to finish. The chef, Mindy Fox, paired the pork dish with an escarole and apple salad but we had a head of savoy cabbage on hand and recalled a wonderful Braised Savoy Cabbage casserole from Molly Stevens All About Braising cookbook (see Feb. 23, 2014 blog under Braising Bonanza tab) and decided it would go perfectly with the Fennel-Rubbed Pork Tenderloin. This time however we made a few alterations. 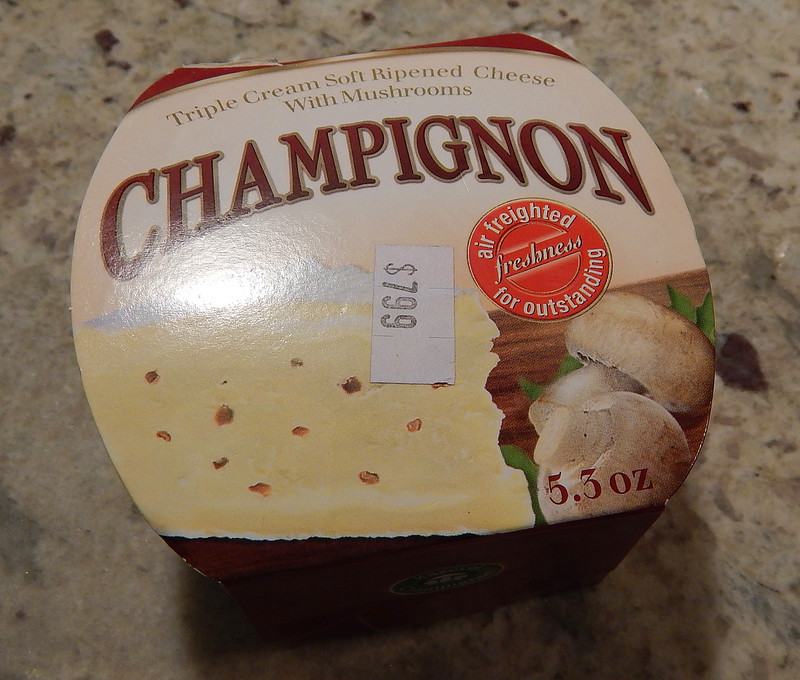 Unable to purchase the Saint Marcellin cheese, we got a triple cream soft ripened with mushrooms called Champignon. 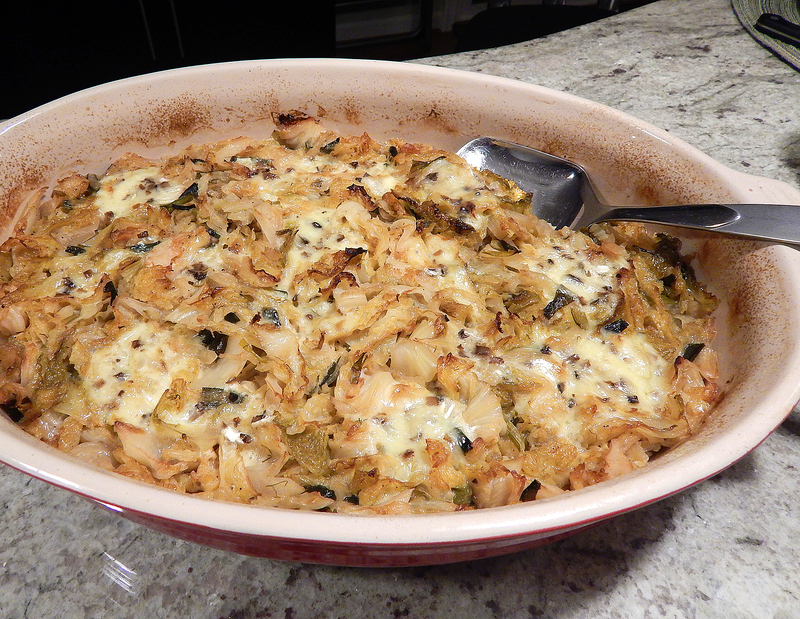 And wanting to use up a small fennel bulb, we sliced it up and mixed it in with the shredded cabbage. Perfect combination! Please note that the following recipe also includes ingredients and directions for the escarole salad—which we didn’t make. Position an oven rack 6 inches below the broiler and heat the broiler on high. Line a large rimmed baking sheet with foil. In a small bowl, whisk 6 Tbs. of the oil, the vinegar, shallot, 1/2 tsp. of the mustard, and 1/4 tsp. salt; set aside. In another small bowl, combine the fennel fronds and stems, the remaining 2 tsp. oil and 1/2 tsp. mustard, the garlic, 1/2 tsp. salt, and 1/2 tsp. pepper. 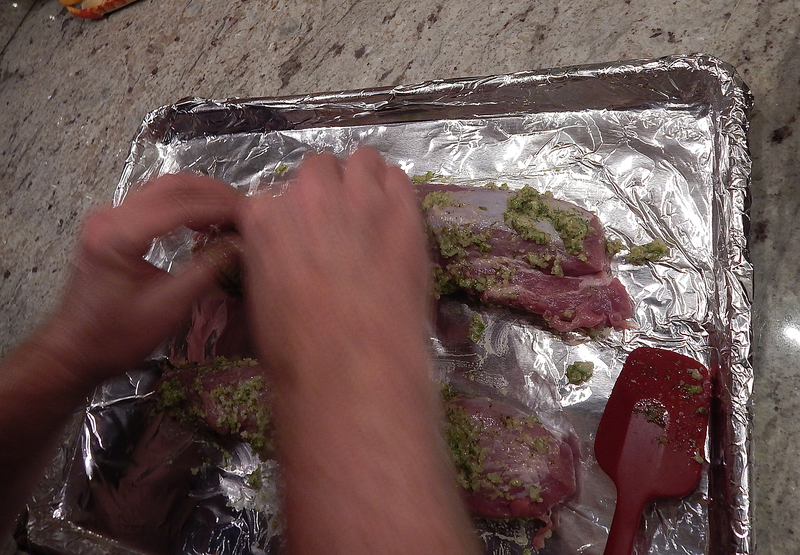 Rub the pork all over with the fennel mixture. Transfer to the prepared baking sheet and broil, flipping once, until just cooked through (145°F), about 15 minutes. Transfer to a cutting board and let rest for 5 minutes. 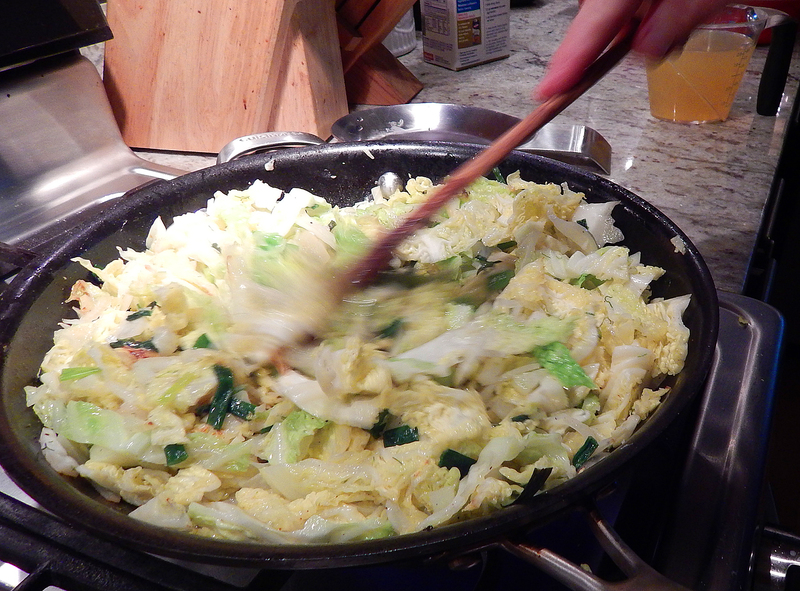 Meanwhile, in a large bowl, toss the fennel bulb, escarole, apple, 1/4 tsp. salt, and a pinch of pepper with half of the dressing. 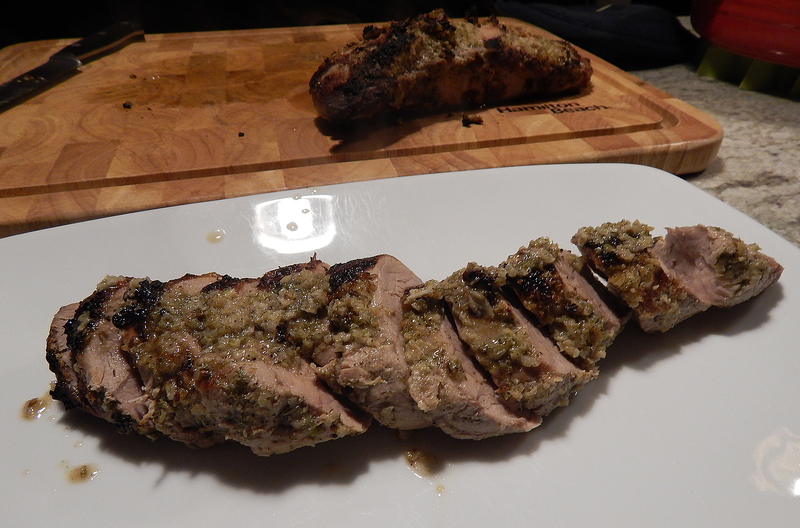 Slice the pork and drizzle with any juice. Serve with the salad, passing the remaining dressing at the table. 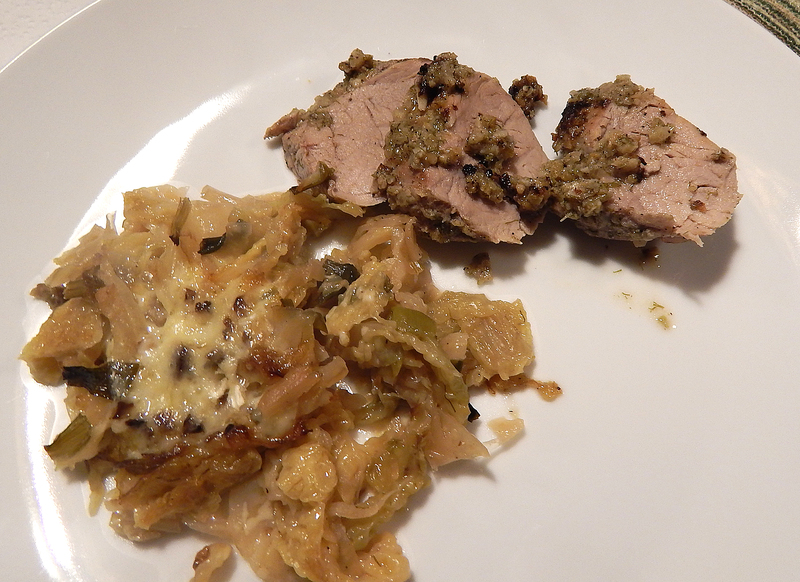 Braised Savoy Cabbage and Fennel.